Loyal Scot — Are you Plaid to the Bone? 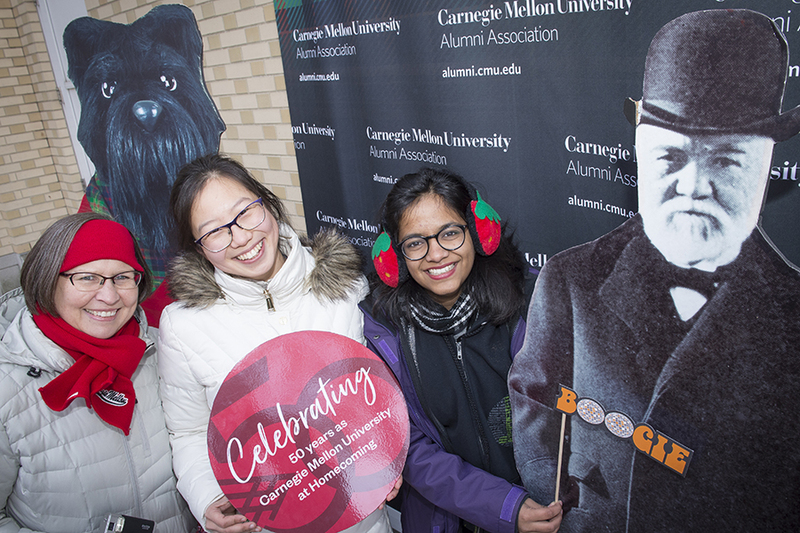 Unleash your Carnegie Mellon University pride and be part of this exclusive recognition program for alumni and students. As a Loyal Scot, you are recognized for your deeper involvement in the university community, and we will help you stay connected to the university and your fellow Tartans. Loyal Scots verify and/or update their contact information each year so they can stay connected with Carnegie Mellon through e-newsletters and other correspondence. Loyal Scots attend Carnegie Mellon events each year or volunteer for the university. Loyal Scots make a gift of any size each year. Loyal Scots show their Tartan pride. Display yours with merchandise from our online store or digital swag! Right-click on the correct screen resolution and "Save As." Don't forget to like the Alumni Association Facebook page. Right-click on the correct screen resolution and "Save As." Check your mobile device guide to find out which ringtone format will work best for you. Then right-click on the file below to download. Right-click and "Save As" to download.